The Howard Miller Benjamin is the 77th Anniversary Edition grandfather clock was introduced in 2003 and has remained one of the most popular clocks made today. 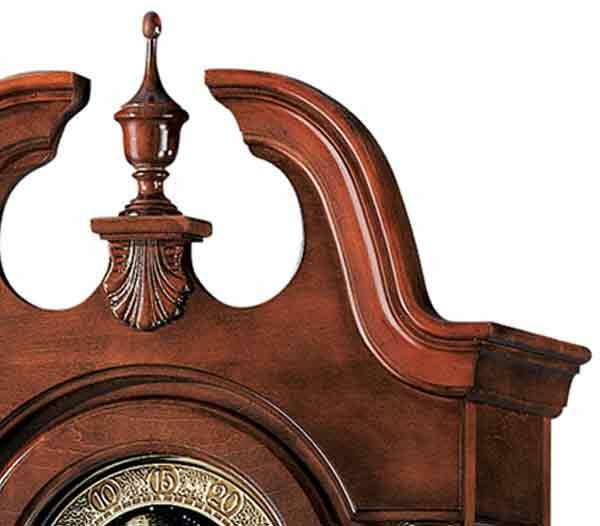 This mid-size clock is finished in Windsor Cherry with a curved swan neck pediment which is crowned by a turned finial and decorative shell overlay. This has been one of our most requested models for over 13 years. The polished brass finished anniversary dial offers elaborate corner spandrel, a center disk with a functional astrological blue moon phase. The pendulum design matches the dial to balance the design of the clock. 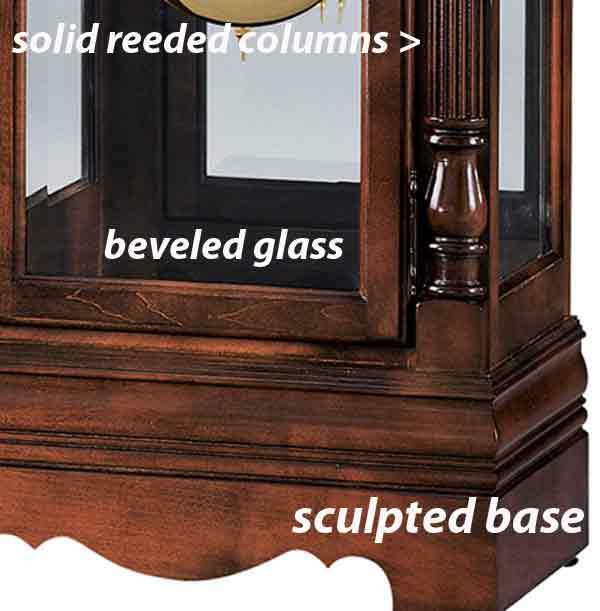 Solid wood reeded columns with turned top and bottom caps and a sculpted base with a decorative cut-out. Locking front door with beveled glass, side glass and removable glass upper side panels allow easy access to the movement. • Cabinet is illuminated by a light inside the top of the case. • Adjustable levelers under all four corners. • Free heirloom plate will be engraved with your family name and a special date. • Mirrored back reflects the weights and pendulum. 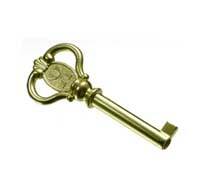 German Cable-driven, Kieninger Quarter Hour and full hour count Westminster Chime movement with chime silence lever. Size: Height 85-1/4" Width 22" Depth 12-3/4"
Clocks for sale at The Clock Depot including the 610-983 at discount prices.